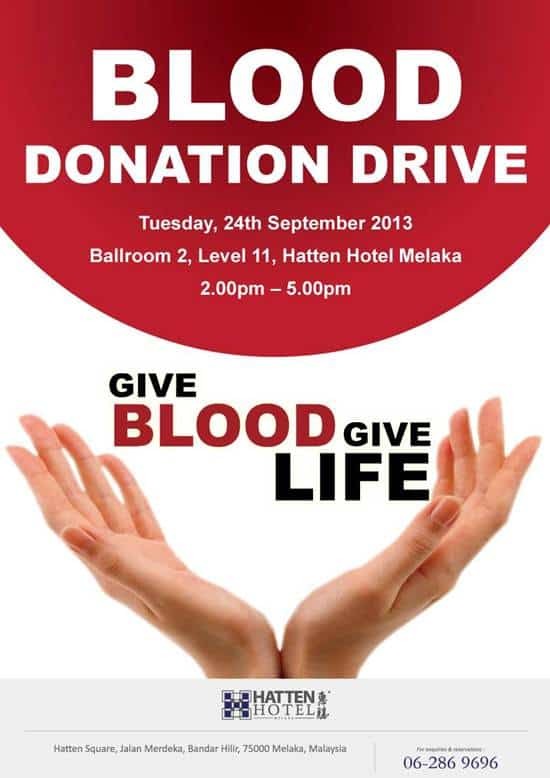 There’s a blood donation drive this Tuesday at Hatten Hotel. 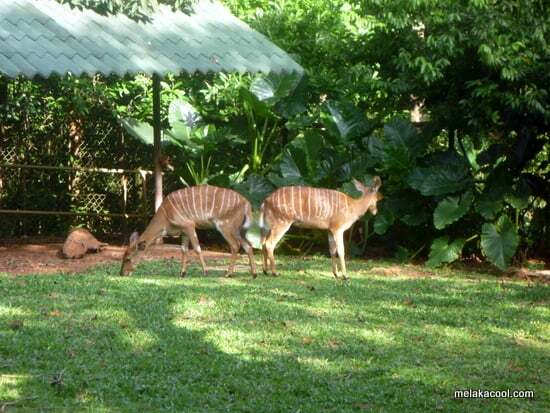 If you want to do your part for the community, then don’t forget to stop by at Hatten Hotel. There are many people that will benefit from the blood drive. MELAKA – As part of the Corporate Social Responsibility initiatives and our contribution to the community, the management of Hatten Hotel Melaka in collaboration with the Melaka General Hospital Blood Bank Unit has organised a Blood Donation Drive on 24th September 2013 from 2pm to 5pm in Ballroom 2, Level 11, Hatten Hotel Melaka. Information on this Blood Donation has been disseminated to the hotel’s guests, public and hotel employees via posters, brochures and emails. Hatten Hotel Melaka strongly believes in supporting the community and hopes that this will assist the Blood Bank to replenish the blood supply. The Hotel’s employees are geared up to donate their blood. In addition, the Hotel Management is encouraging other individuals from the public and hotel guests to participate and support this good cause by sparing a little of their time to come and donate their blood. The Hotel aims to continue with their commitment to the community by having the Blood Donation Drive on an annual basis. For further information and inquiries, please call Hatten Hotel Melaka at 06-286 9696. If you can spare the time, and you are healthy and fit for blood donation, don’t forget – Hatten Hotel, Tuesday 24th September 2013, from 2pm – 5pm. derma darah pastu sakit hati bila org rempit tak cukup darah pandai tol susahkan org..